Dry faster. 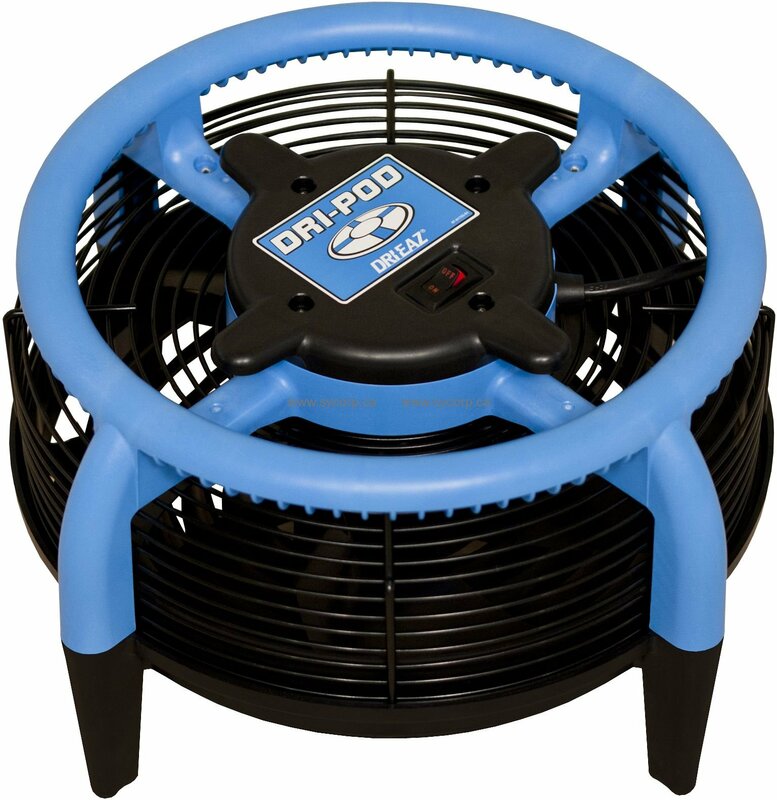 The Dri-Pod directs air across the floor in all directions accelerate drying. Use the Dri-Pod to dry carpets or hard surface floors quickly after cleaning, leaks or spills. Simply place the unit in the area to be dried, and then leave it to work while you move onto the next task. Light, powerful for small area drying of steam cleaned carpet. Strategically placed and moved as cleaning job progresses to dry carpet at carpet/tile thresholds where slip and falls can occur. Recommend 2 or more of these per residential jobs. Not as powerful as snail fans but will not blow dust bunnies and whiskey bottles from under beds and sofas all around the room. Always use them now and customers are happy that the carpets dry quicker than they expect.